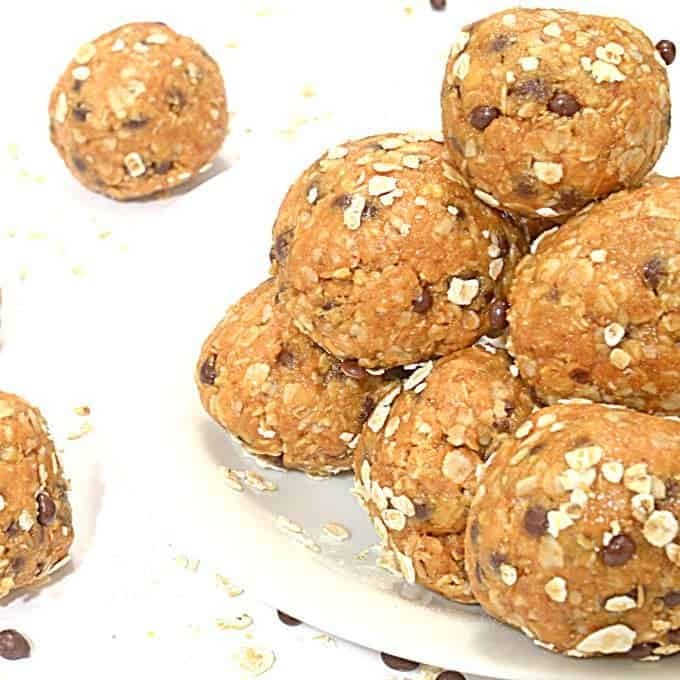 Peanut Butter Power Balls Combine all natural ingredients to give your day a tasty and nutritious boost. 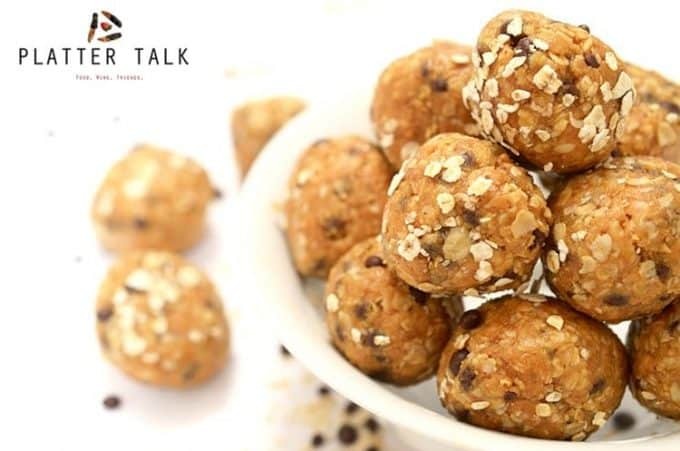 When life is rolling fast, these Peanut Butter Power Balls from Platter Talk will help you to keep up. Made from all natural ingredients, these easy-to-make energy bites fuel your body with high octane and high taste. Featuring 100% pure peanut butter and real honey, you can add any one of a variety of other natural and healthful ingredients. We tossed in some ground flax seed, natural oats, and chocolate covered hemp seeds in this version of Peanut Butter Power Balls. Other options can be sunflower seeds, chai seeds, and any number of a variety of natural grains and antioxidants. 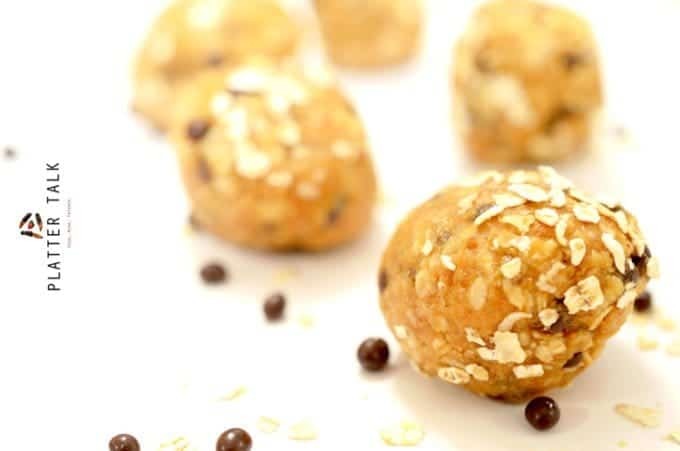 These healthful Peanut Butter Power Balls make it easy to avoid harmful additives and processed sugars found in more expensive and less tasty “nutrition” bars that you might pick up at the store. They’re easy to store in the fridge and easy to slip into your pocket for later. Give these Peanut Butter Power Balls a try, make them your own and let us know what you like to add to them. Combine all ingredients in medium-size mixing bowl. Use hands to roll into balls, about 2 inches or 5 cm. in diameter. Should make 12 peanut butter power balls. I just picked up flax seeds last weekend for the first time ever and I haven’t opened the package yet. My plan was to try them in green smoothies, but that will have to wait because this is happening first! Excellent, Marissa! Remember to keep them stored in the fridge! I love easy, transportable afternoon snacks and these look like they definitely fit that description! Thanks, Kathryn. It’s great to hear from you! I love making power balls! This version looks so yummy too! My kids love power balls…they are the perfect snack for between class snacking! Our kids love them too; a win-win of sorts. Wholesome food and one they enjoy! I would eat 10 right now and not feel guilty! Yum! 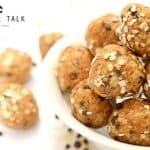 I could use a few of these delicious looking energy balls right about now! Loaded with strength and flavor.